​The Video Assistant Referee (VAR) will be tested across multiple Premier League fixtures for the first time this weekend. ​BBC Sport reports that the five top-flight matches which kick off at 3pm on Saturday will be monitored from the central VAR hub, although the technology will not be used to affect the matches in any way. VAR was tested in a similar way for individual fixtures last season, but now the Premier League wants to see how it will cope with multiple matches ongoing at once. The Premier League is now lagging behind other major European leagues in its use of technology. VAR was used in the Bundesliga and Serie A for the first time in 2017/18, and this season has seen it adopted by La Liga as well. Premier League clubs voted in April against introducing VAR for the 2018/19 season, but the number of matches in which it is tested will rise from 19 to around 60 this season. 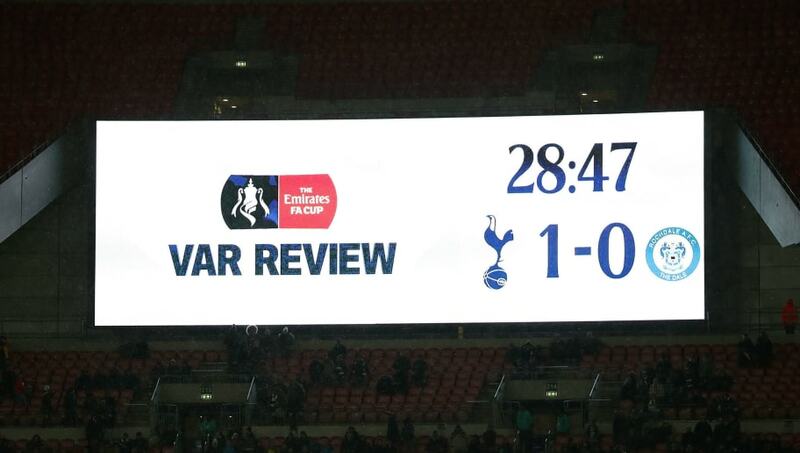 VAR was tested at some EFL Cup and FA Cup matches last season with mixed results, before being implemented at the 2018 World Cup to a generally positive reaction. As was the case at the World Cup, the VAR trial will only be used to examine goals, penalty calls, direct red cards and cases of mistaken identity.